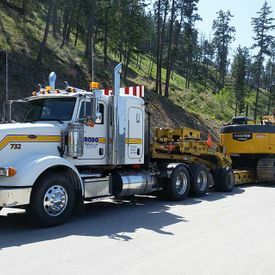 Trucking Company Kamloops | Home | Robo Transport B.C. Ltd.
We specialize in hauling overweight and oversize loads. 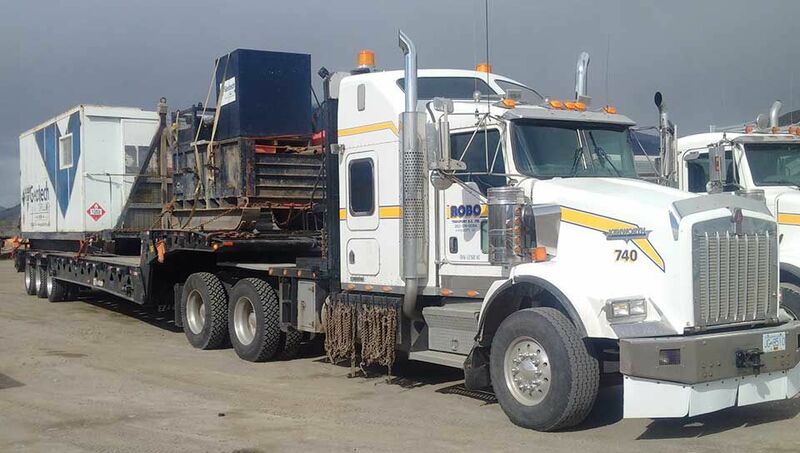 Our trucks get your load where it needs to go. We offer a variety of lowbeds to allow us to accommodate any load. Welcome to Robo Transport B.C. 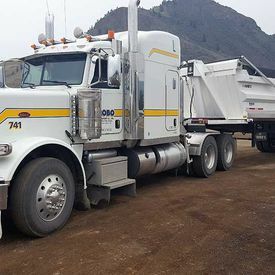 Ltd.
Robo Transport is a trucking lowbed company operating in Kamloops, British Columbia, run by a crew of people that have been in the business for over 40 years as machinery movers. 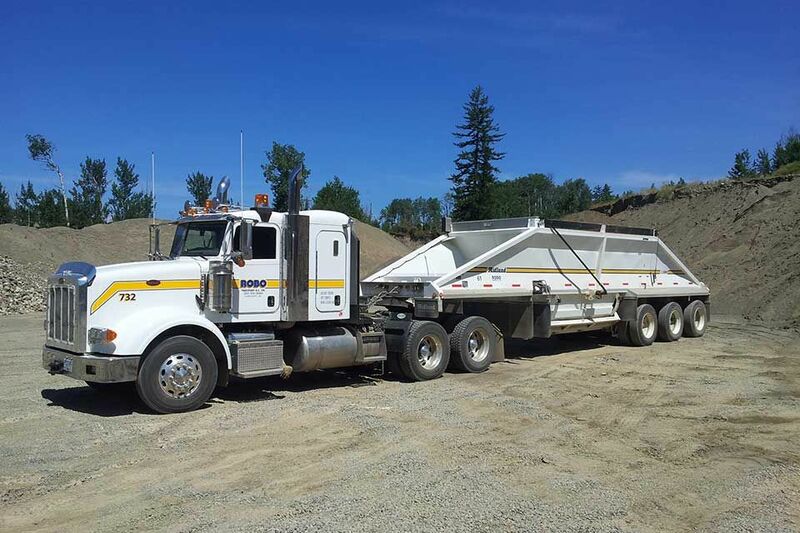 We are a company that prides itself on always being punctual for loading and delivery, offering multi-axle lowbed transportation service 24 hours a day, 7 days a week. 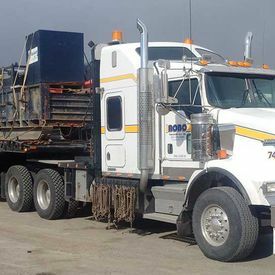 Specializing in hauling overweight and oversize loads throughout Canada and the U.S.A., we use axle combinations ranging from 5 to 9 axles and are capable of hauling any type or size of load. 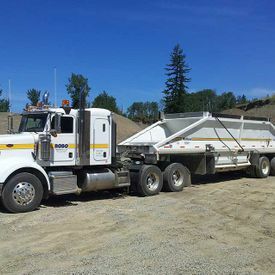 We have winch trucks, gravel trucks with pup trailers, clam bellydumps, and end dump trailers, too! Here at Robo, our main concern on and around the job site is safety. All employees here have certificates in TDG, and are members of a drug and alcohol testing program. As well, all of our drivers are professional lowbed drivers, trained to operate all machines to load the load. 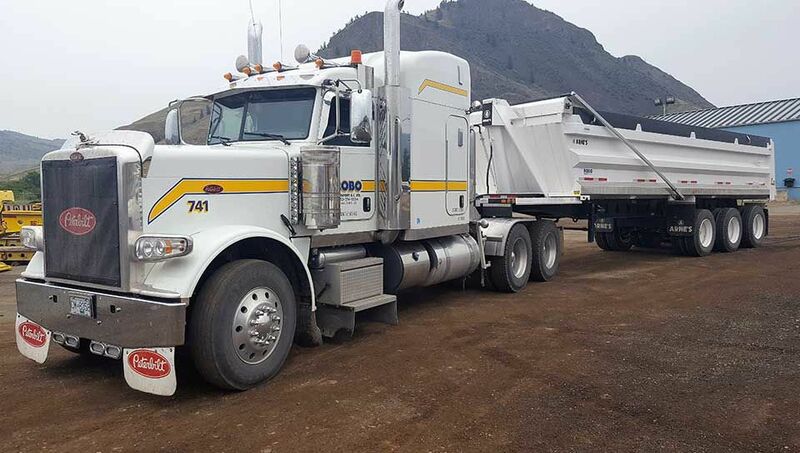 And, as a member of the British Columbia Trucking Association, we are always kept current on all the new regulations in B.C. to better meet your transportation needs. 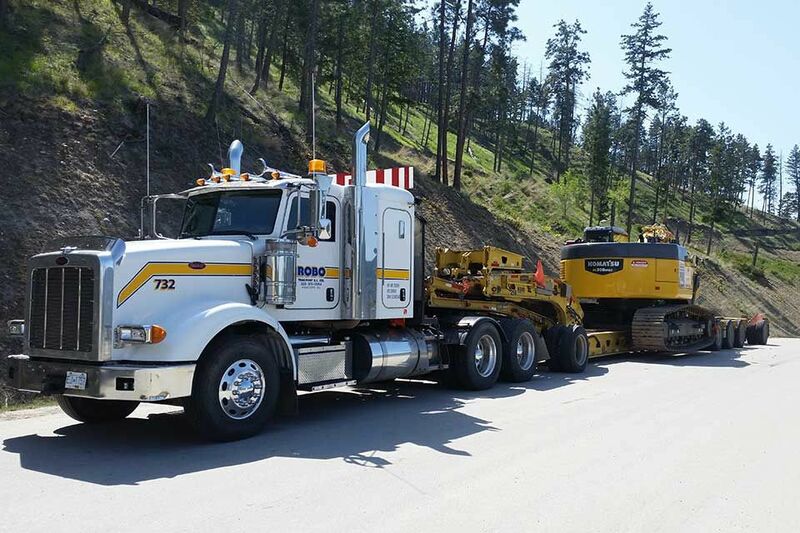 Contact us today to move machinery throughout Western Canada and the U.S.A.!